Last night, something caught my attention as I was doing my usual round of Facebook news feed-scrolling before bedtime. 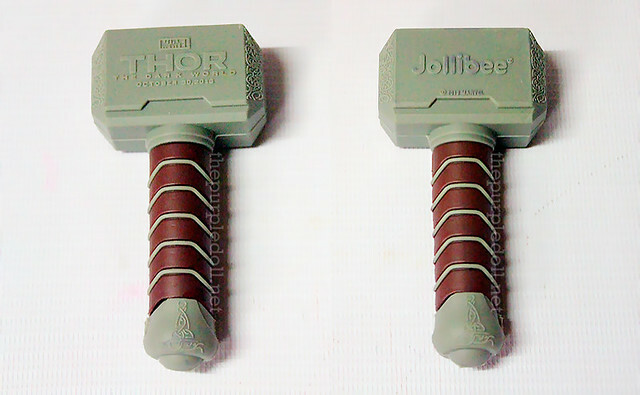 Apparently, Jollibee was to launch its newest burger offering today, which comes in a special edition Thor packaging in line with the upcoming movie, Thor 2: The Dark World, premiering on October 30, 2013. I'm no crazy Thor fan, but I just can't let this pass. So earlier today, I went to a Jollibee branch and ordered their newest burger, the Cheesy Bacon Mushroom Champ (Solo P129; Value Meal P165) which came in an electric blue box featuring who else but Thor. I don't usually think of burgers when I buy food from Jollibee as it's their ChickenJoy I always come back for. However, since I love cheese, bacon and mushrooms, this burger was really right up my alley! Actually, I remember Jollibee offering something similar quite a while ago, the same time they first introduced the Aloha burger. It was my favorite burger from Jollibee, but for some reason, it was dropped from the menu. I'm glad that it's now back and have become even better. Unlike its predecessor, the Cheesy Bacon Mushroom Champ uses 1/3 pound patty, the same used in the Champ burger. It's also loaded with generous amount of cheese sauce, bacon and mushrooms. Mind you, this isn't a product sample but the "regular" serving I bought earlier. I'm impressed of its quality, and I'm hoping they won't skimp on the ingredients later on. Now, aside from the burger itself (which was pretty good), the "real" reason I bought the burger, was for this Thor merchandise available for only P95 when you buy the Cheesy Bacon Mushroom Champ either solo or as value meal from Oct. 16 to Nov 16, 2013. And no, it's not just a toy. This is actually a Mjolnir - Thor's Hammer 1GB USB (P95) made from a rubber material. Haha! Yes, I made sure to buy the burger today so I won't have to concern myself with stock availability, as I'm sure this will be sold out soon. I've tested out this USB and it does work! However, my boyf's friend who also bought one, got a defective, non-working USB. I think if you do get something defective, it can still be returned and replaced. Keep the receipt just to be sure though. Anyhow, the Cheesy Bacon Mushroom Champ is a nice addition to Jollibee's selection of burgers. However, I'm wishing this would be a mainstay and not just a burger item that'd suddenly disappear from Jollibee's menu. How about you, have you tried this new burger from Jollibee? Actually, pag finormat mo siya ng ibang type.. it will cause to a malfunction. The type of format na allowable sa usb is FAT short for "file allocation table", which is the oldest usb format. It is only and up to 64kbps speed of transfer which is very slow not good for a 1gb usb. very effective way for advertisement good job!! On my part or Jollibee's? :) I'm just sharing this good news with my readers. The burger's pretty good and I can't deny I'm really excited with the Mjolnir USB. Haha! definitely would try this. and it comes with a free thor usb! thats great! ok. . it just im so excited, i thought its free but not. but just for 95 pesos its very affordable! Thor burgers and Mjolnir USB for the whole family! :D Woot! Wow, yummy burger, like the usb gonna check it jollibee branch near us. I've lready tried that monster, and you're right it has hefty servings of Cheese sauce, mushroom and Bacon, and the good thing is the bacon is not in bits! I think the burger that you were referring was the Cheesy Mushroom Burger, that also came with their TLC before and another one I forgot, It's been couple of years since then. This is really a bang in the buck! Yup, that's it! Cheesy Mushroom burger pala, without bacon. :) Thanks, arnsarreal1210! This reminds me of Wendy's Bacon Mushroom Melt which was my favorite in Wendy's (together with their large ice teas). I wonder if it tastes the same. I'll give it a try but I don't think this will stay very long unless there is an overwhelming demand for it. I'll still stick with Aloha Burger but thanks for this. I don't go to Jollibee much so it's nice to hear of something new. I love Wendy's Bacon Mushroom Melt too! :) Can't say they taste the same 'cause Wendy's patty has a more smoky flavor, but Jollibee's is pretty good too, especially for the price. By the way, I think the Aloha burger is discontinued? Tried ordering it a week ago, but it's not available na "daw". The burger is fantastic. The usb was what got me to buy it in the first place. Panalo! Kudos to Jollibee! More Thor merchandise pls! I got really worried when only the bucket meal was shown. I mean.. there were a couple of Thor toys from the first movie then only a bucket for the second one??? I am SO GLAD for this USB and for that fantastic burger! Cheers! I remember when they had this burger! It was sooo delicious and I was devastated when Jollibee took my fave burger out of their menu. Thanks for your blog, I wouldn't have known it's baaaaaaaack! i will buy this for my kids! I tried the champ rightaway because of the Thor USB, haha! But I love the new champ, too. It's big and complete. In fact, I didn't finish eating it. Meron pa kaya nyan stock sa mga jollibee branch baka maubusan ako...? that Thor hammer thing levels Mcdonald's minions! :) Have added you on my blogroll list. I would be grateful if you can leave a comment as well in juanblogs.com. Thank you, take care! How does it compare to Wendy's Bacon Cheeseburger? I must try this soon.. if only for the cute USB hahaha I love Thor!!! The Thor USB is really cute. It captured my attention more than that delicious burger. hihi. the Thor Hammer USB looks so cute. 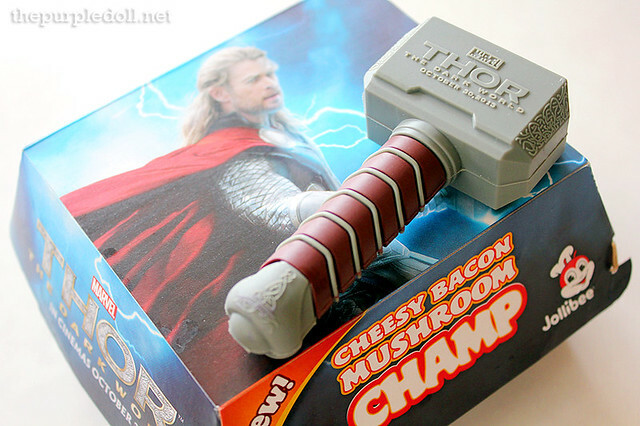 I love Wendy's Baconator too.. and haven't tried this Jollibee's Cheesy Bacon Mushroom Champ maybe i'll try this because of this THOR Hammer USB! hehehe..
OMG! I didn't know that's a USB. Cool! Thanks for letting me know. haha! i wanna try this new burger!looks yummY! :) abng cute din nung usb! 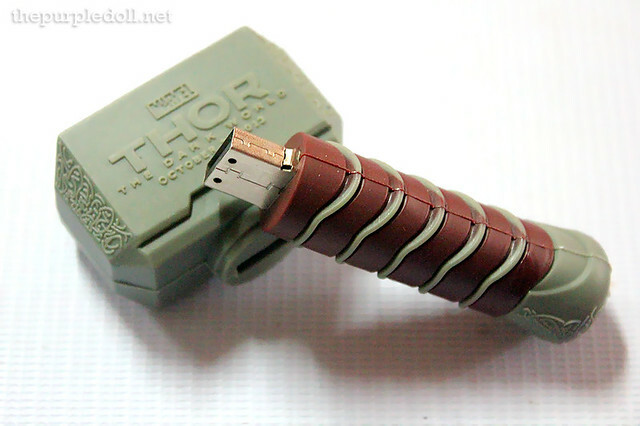 I want that Thor hammer USB! THE WORST USB EVER IS THE THOR HAMMER OF JOLLIBEE.Nagsasayang lang po kayo ng pera kung usb lang ang habol nyo.Proven and tested ko na ang thor hammer usb ng Jollibee,super mabubuwisit lang kyo sa usb na yan ng Jollibee.Mas ok pa ang usb sa bangketa kumpara sa thor hammer usb ng Jollibee. I really like this Cheesy Bacon Mushroom Champ! I've tried it and I can't get over it! Next time I'll try to purchase the USB! 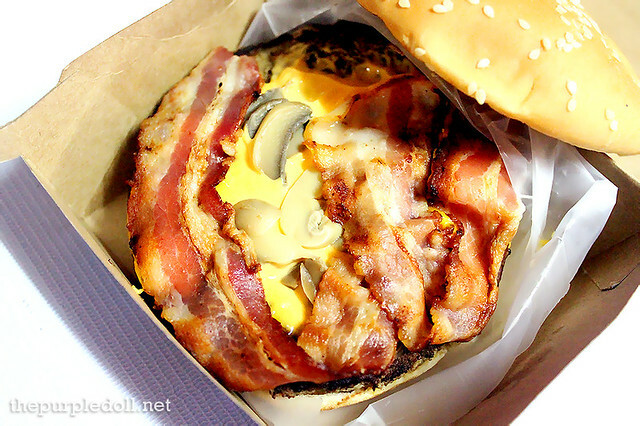 tried it & liked it too, the bacon Mushroom Champ naubos ko mag isa sarap! I've tried this a few weeks ago and everytime I see its advertisement on TV or anywhere, it makes me want to eat it again! Super nagustuhan ko siya simply because of the cheese and BACON (Sino ba naman ang hindi fan ng bacon. :P)! What I like about this burger is that it is loaded with crispy bacon, mushroom and cheese. The patty tasted okay but the problem I encountered with eating this was that it was messy to eat because the cheese was mushy so I had to use spoon and fork to finish eating the burger, if I didn't used those It could have dripped on my white shirt. walang kwenta ang thor usb nila laging nalang not encrytable ang lalabas... wala naman silang solusyon para dun.. panget talaga..
i haven't try this because its always sold out here in iligan,. so sad,. i love THOR, and love the cheesy bacon mushroom champ,. yummy,. Win cool prizes with SMB's #HappyClick Contest! Let's Eat and Win at SM Foodcourt!